This beautiful corner lot house is on the market for the first time in this century. 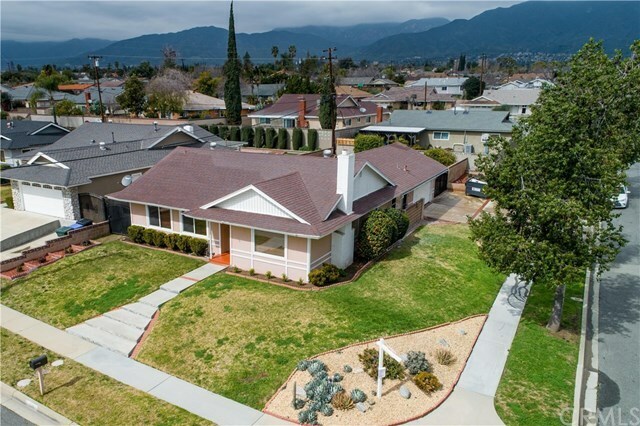 This home offers the charm of the early 1960's while having modern updates to meet today's home owner demands. The entire house has been freshly painted inside, the kitchen has been updated with freshly painted gray cabinetry accented with brush nickle hardware, granite counter tops, newly installed recessed lighting, and the carpet has just been pulled out of the bedrooms, hallway, and family room. These original wood floors have great patina. The breezeway to the garage has been enclosed professionally, offering you a cozy den right off of the kitchen. The living room is a wonderful size to entertain in with a back drop of the fireplace with a large grey mantel. This home also offers a master suite with a walk in shower. If you have an RV or a boat, this property has the perfect RV pad right beside the garage behind a gated entry. Since this is a corner lot, the RV and garage access is very easy. While just blocks of Baseline, near Archibald, your smartly located near shopping, schools, public transit, and the 210 or 15 freeways. Directions: North on Lyon from Baseline.